The free Nat Decants mobile app gives wine lovers tasty dinner ideas, with wines, pairings and recipes. Whether you're in the liquor store or the supermarket, you've got your evening planned with just a few clicks on Nat Decants. Nat Decants was selected by the New York Times and Computerworld Magazine as one the top five food and wine apps. The new Nat Decants app gives wine lovers a complete dinner solution at their fingertips, with wine picks, pairings and recipes. In a few clicks, they're all set for the evening. The free Nat Decants iPhone and BlackBerry app has dished up more than 7.2 million mouth-watering wine reviews, pairings and recipes since its launch in February. Nat Decants now bundles a suite of 10 wine apps rolled into one, including a cellar journal, articles, blog posts, glossary, newsletter, pairings, wine reviews, recipes, book excerpt and world winery directory. “This new app gives wine lovers a complete dinner solution at their fingertips,” says Natalie MacLean, editor of one of the largest wine sites at on the web at NatalieMacLean.com. “Start with a pairing, get a couple of tasty wine recommendations and a recipe, and you’re all set for the evening.” Instead of having to access several apps to put together a dinner plan, you’ve got your answer in a few clicks on the Nat Decants app. The new mobile app is the fruit of MacLean’s eight years of hedonistic research. As a certified sommelier and winner of the World’s Best Wine Writer at the World Food Media Awards, she has written and vetted all the pairings, wine reviews and information in the app, rather than relying on computer-generated algorithms and crowd-sourced material. The free Nat Decants app was selected among the top five food and wine apps by the New York Times, Globe & Mail and Computerworld Magazine. High-resolution and web-friendly screen shots of the mobile app are available on Nat’s web site at http://www.nataliemaclean.com/book/highres.asp. Natalie MacLean is an independent journalist and author of the bestseller Red, White and Drunk All Over. 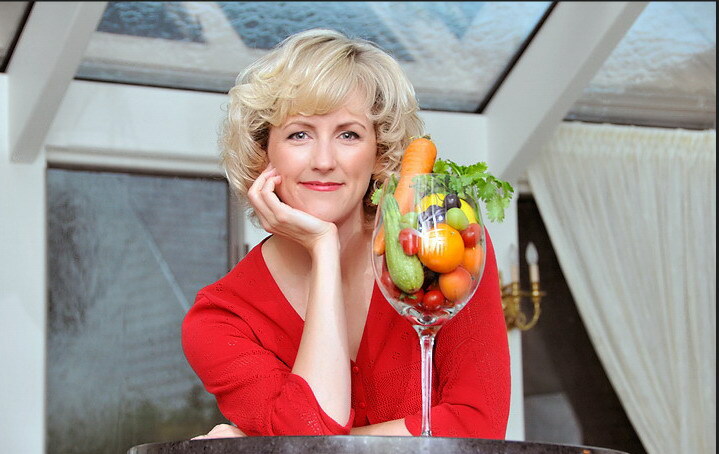 For Google searches on popular terms like “wine and food,” “food and wine pairing,” “food and wine matching” and “wine newsletter,” Natalie’s site is often on the first page of the results as it has become a go-to resource for food and wine lovers. Natalie is the only person to have won both the M.F.K. Fisher Distinguished Writing Award from the James Beard Foundation and the M.F.K. Fisher Award for Excellence in Culinary Writing from Les Dames d'Escoffier International. 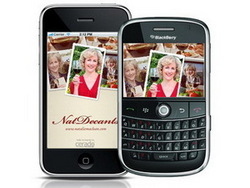 Natalie MacLean, certified sommelier and World's Best Drinks Writer, created the Nat Decants app.